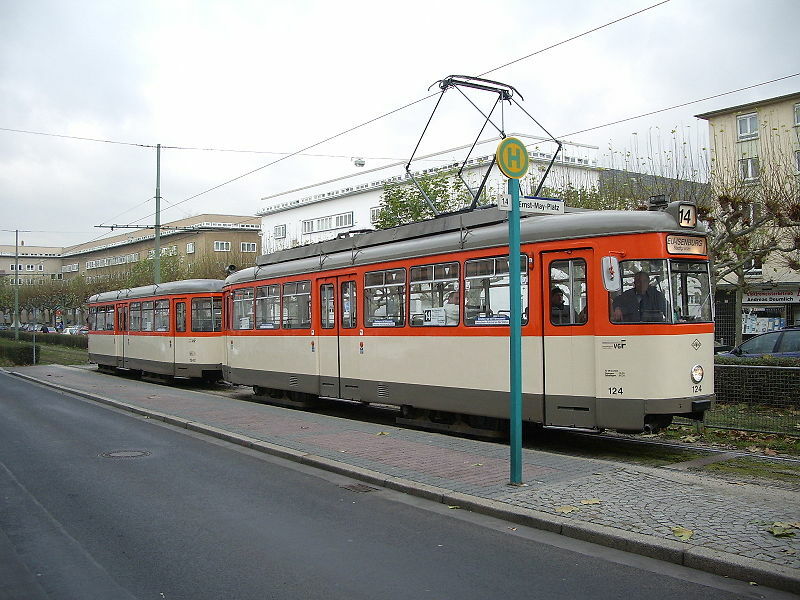 B1 Theaterplatz - Konstablerwache - Hauptfriedhof (Main Cemetery) - Gießener Str. 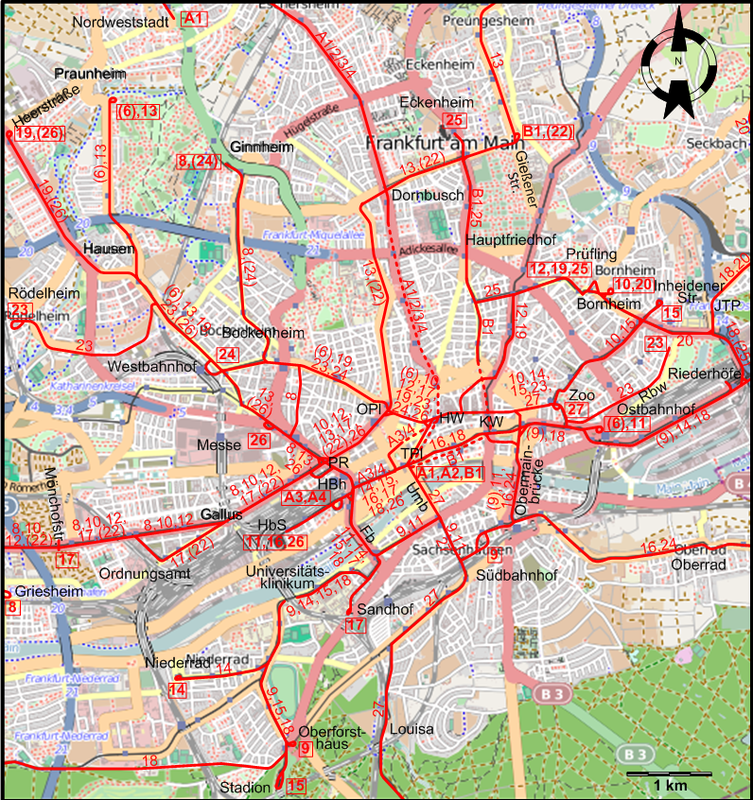 15 Stadion - Oberforsthaus - Universitätsklinikum - Friedensbrücke - Hauptbahnhof (Main Station) - Theaterplatz - Hauptwache - Konstablerwache - Zoo - Inheidener Str. 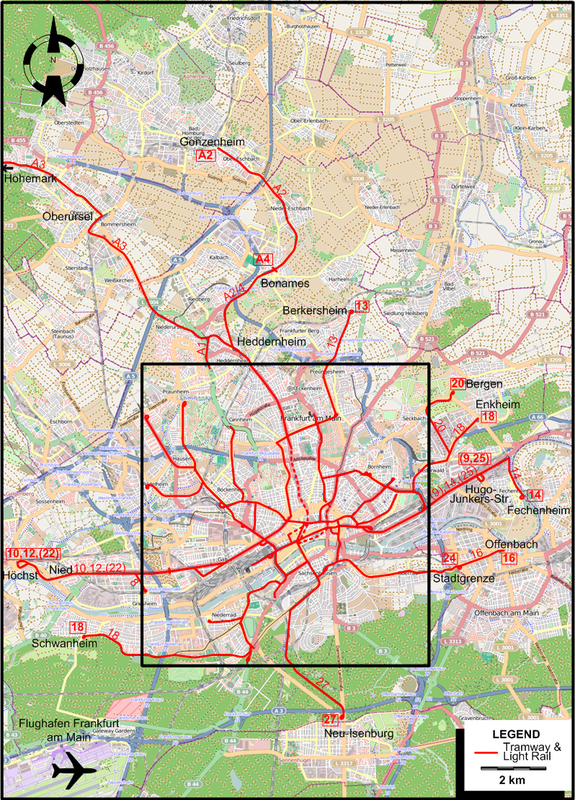 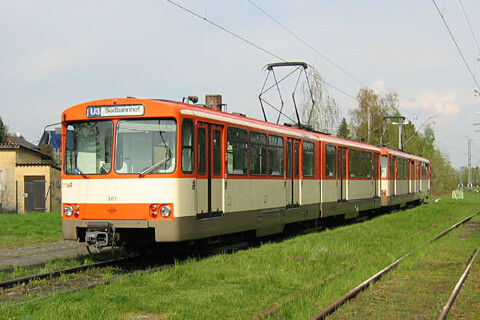 Note: Lines A1-4 and B1 ran partially in tunnels and private rights of way, and constituted a precursor to the U-Bahn (underground) network. 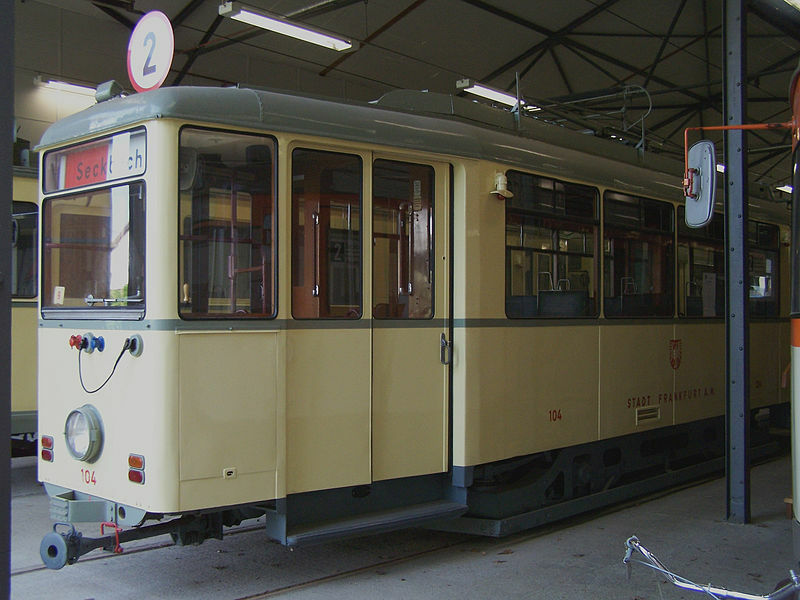 But in 1974 they were still connected to the tram network.